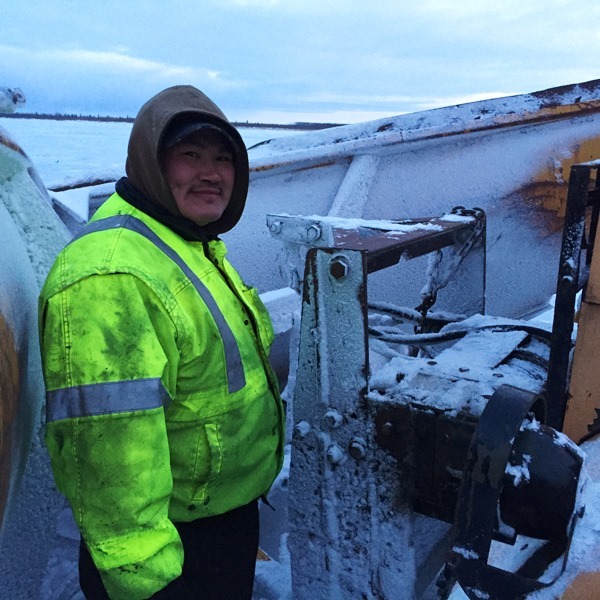 Summary: Over the past several days the tribal and city governments of Napaimute, Chuathbaluk, Aniak, Kalskag, and Lower Kalskag have pooled their resources and coordinated efforts to establish a safe ice road between the Middle and Lower Kuskokwim. 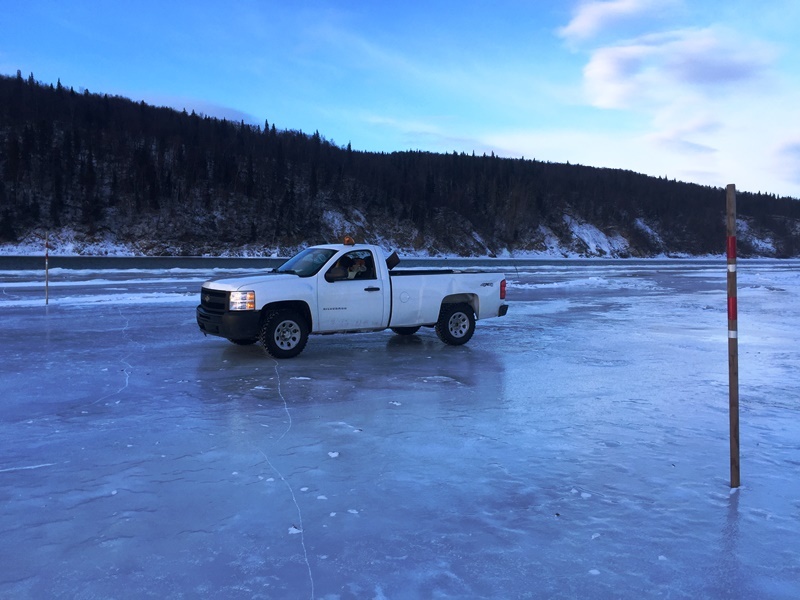 The following is a general description of what travelers can expect along the different sections of the Upriver Ice Road. This route begins at the spruce tree near the lower end of the sandbar below the mouth of the Tuluksak River. Please note this is different than last year. 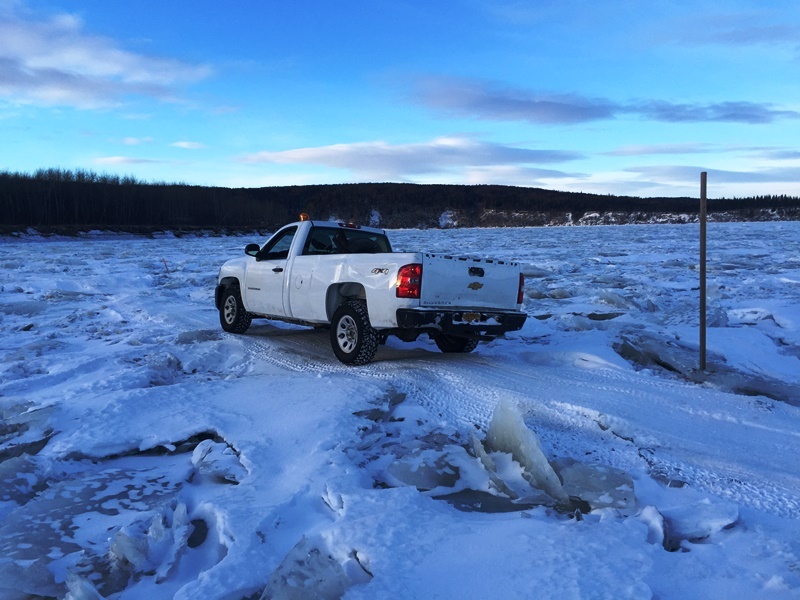 Do not go into the Tuluksak River to pick up the ice road to Kalskag. This route has been plowed to knock down the rough ice that still remained even after all the warm weather earlier in the winter. Trail markers are poles with reflectors spaced 2/10’s of a mile apart. Small K300 type reflective stakes are installed in between the poles for extra safety. 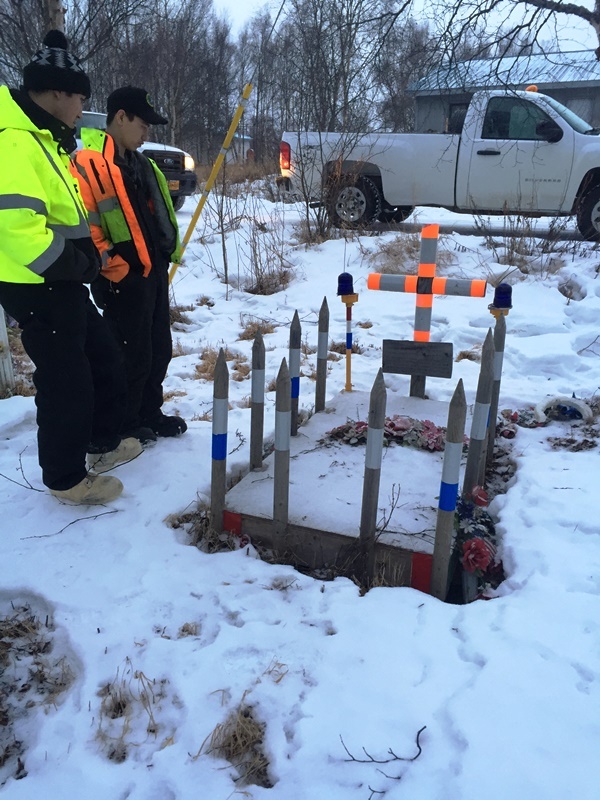 All KNOWN open holes in the vicinity of the road are marked with willows and BLUE reflectors. 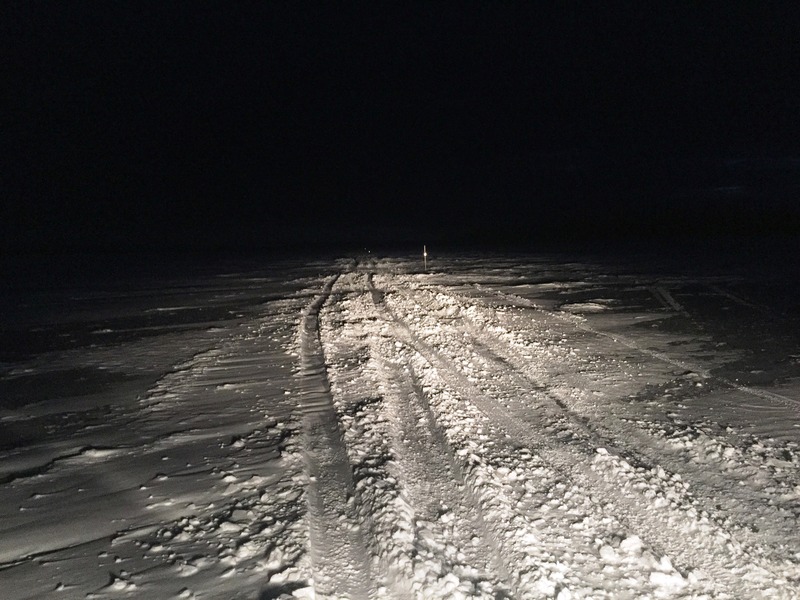 Because this is a plowed road it is susceptible to drifting snow, but the road is still very passible. Travel Tip: if the drifts in the road get too deep just move off the plowed road. There is very little snow off the road at this time. Travel time between the two communities averages 90-120 minutes. This first 2/3 of this route upstream of Kalskag to Harry’s gravel pit is marked the same as Route 1 – with a combination of poles and stakes. Most notable is the area below, at, and just above Harry’s gravel pit. It looks scary and is dangerous, but a lot of traffic has passed through this area safely. Travelers just need to stay between the poles. This is the open hole on the right side of the panoramic picture. 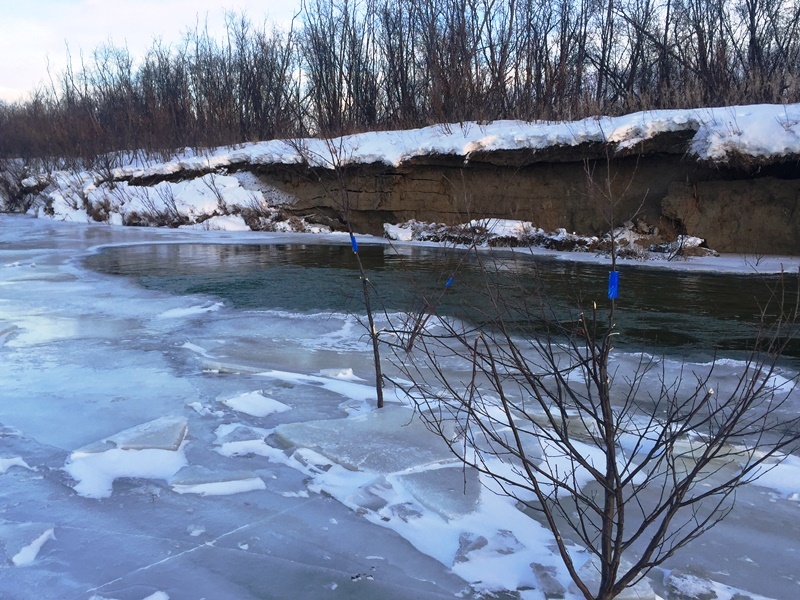 This just opened up last week – a result of the current eating the bank away under the ice and the hanging ice caving in leaving swift, deep open water. We’ve seen this before – just not in this area – the River’s always teaching us. 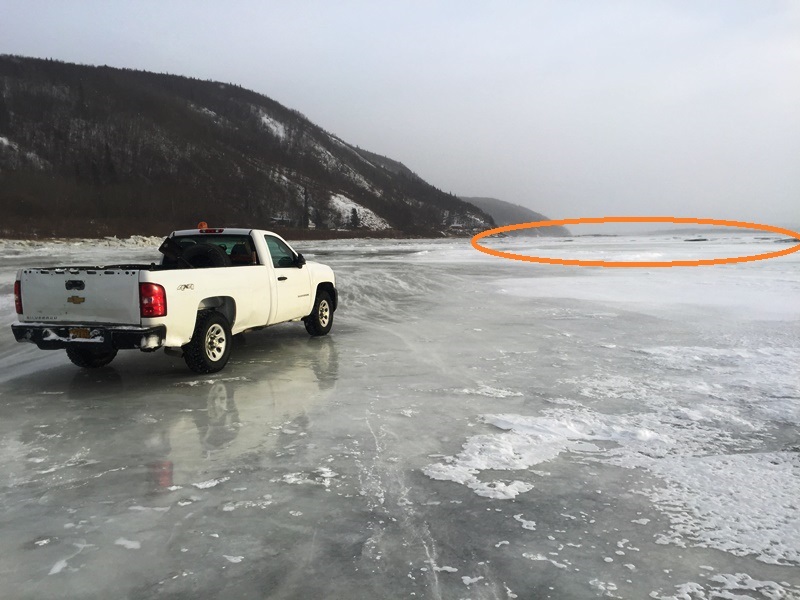 Once past the open water, due to extremely rough ice conditions the truck road is squeezed up against the bank for a short distance before making a rough crossing back to smoother ice. With more snow and wind this area will become a problem for truck travelers. After this short, stretch there is a rough crossing back to smoother ice. 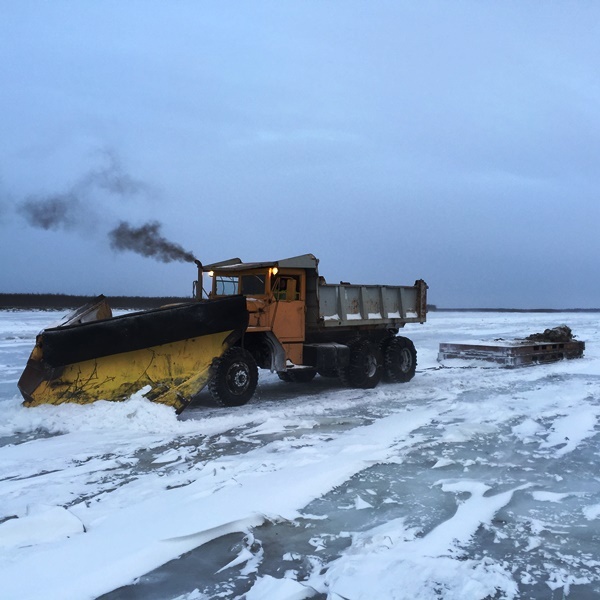 This is the roughest part of the whole ice road between Tuluksak and Chuathbaluk. The remaining 1/3rd of the route above the gravel pit to Aniak is not marked for trucks at this time. The current truck trail in this section is following the K300 markers. Use caution following this route as it uses some side sloughs and beaches that may not be suitable for trucks as the ice continues to drop. A truck trail following the main channel and grading are planned for later this week. 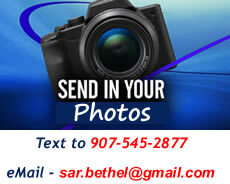 Travel time between the two communities averages 75 to 90 minutes. This is best part of the Upriver Ice Road system at this time. The route is well marked, has been graded smooth, and all open holes are marked. Travel time between the two communities averages 15-20 minutes. 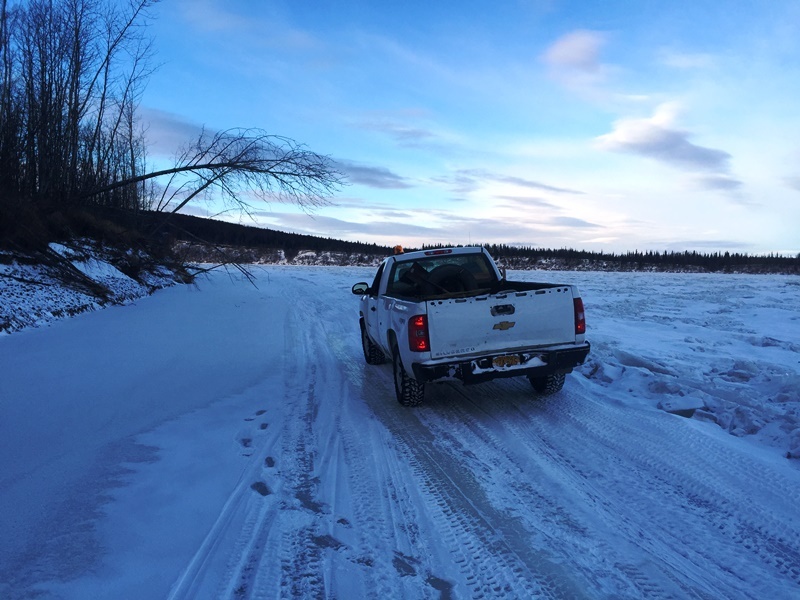 Best part of the Upriver Ice Road System: Aniak to Chuathbaluk. Good job! 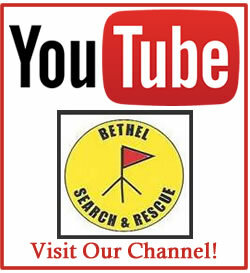 Reconnaissance of a safe truck route has just been completed. Ice thicknesses are good and smoothness is fair. A marked truck road will be established later this coming week. There is unmarked open water and during the last warm spell the channel in front of the original village has blown out.This is common in the swift section of River. 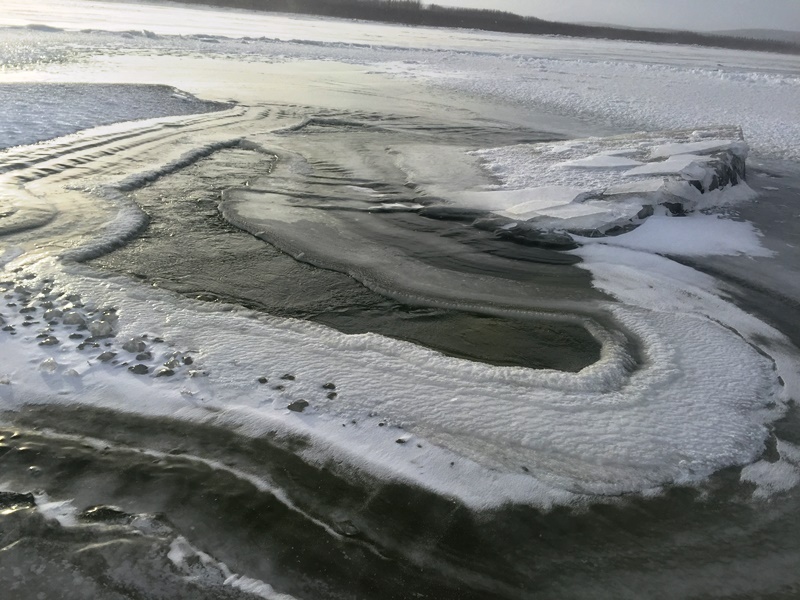 Even though the ice is 2′ – 3′ thick the force of increased water during melting times breaks the ice and blows it out on top of the original ice leaving dangerous swift open water. Anyone traveling through the Napaimute area must avoid the middle of the River. Close up of the swift, deep open water in mid-channel from the blow out at Napaimute. That’s the Upriver Ice Road Report. 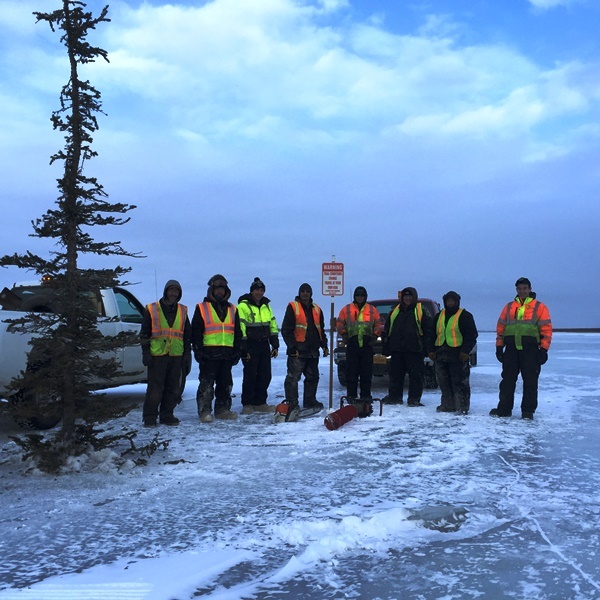 A big thank you to the organizations and People of Lower Kalskag, Kalskag, Aniak, Chuathbaluk, and Napaimute for their work to establish safe ice roads between the Middle and Lower Kuskokwim. *Please note that River and Ice Road conditions change daily. This is not an advisory that it is safe for travel. It is for informational purposes only.